Corsair's Neutron Series XT SSDs were its most potent SATA 6Gbps 2.5-inch solutions, targeting the 'advanced performance' market. Now the enthusiast memory, PC hardware and components specialist has revised and upgraded this range to become the Neutron Series XTi. 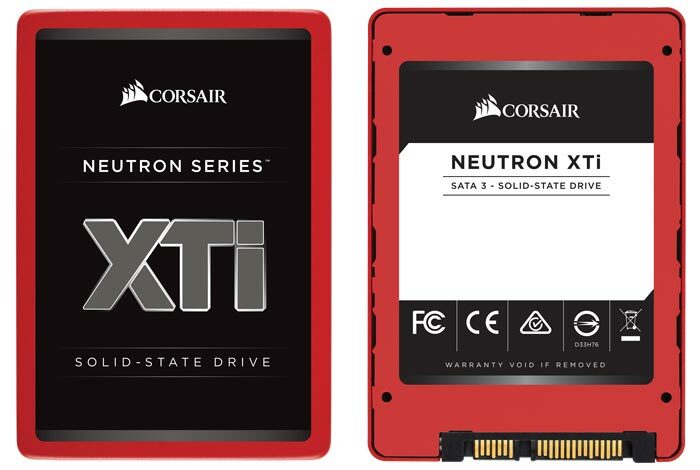 In an email to HEXUS, (with attached press release published here) Corsair says that the new Neutron Series XTi SSDs are available immediately at its network of authorised retailers. However, there appears to be no official product page(s) dedicated to the updated product series at the time of writing. The new drives are said to come equipped with "a blisteringly quick quad-core Phison controller and performance MLC NAND" which results in SATA 6Gbps-saturating transfer speeds of up to 560MB/sec. Furthermore, Corsair claims the Neutron Series XTi SSDs provide "excellent sustained performance consistency with even the most demanding of workloads". 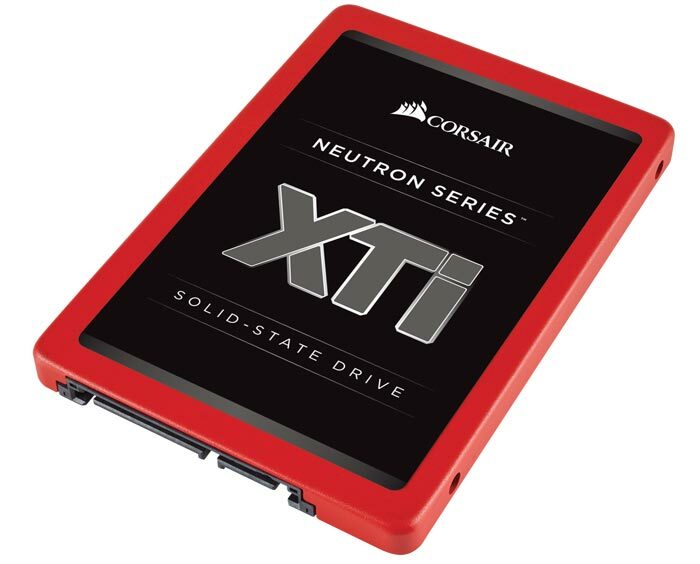 Looking closer at the specifications, the Neutron Series XTi SSDs are initially available in capacities of 240GB, 480GB and 960GB with a 1920GB SKU scheduled for release in "the near future". The drives support end-to-end data path protection, power loss protect via advanced SmartFlush and GuaranteedFlush technologies, various error correction technologies, Static and dynamic wear levelling, and advanced garbage collection. Corsair boasts of "exceptional transfer speeds," for the new XTi SSDs, with sequential read speeds of up to 560Mb/s, sequential write speeds of up to 540Mb/s, 4KB random reads of up to 100K IOPS and 4K random writes of up to 90K IOPS. 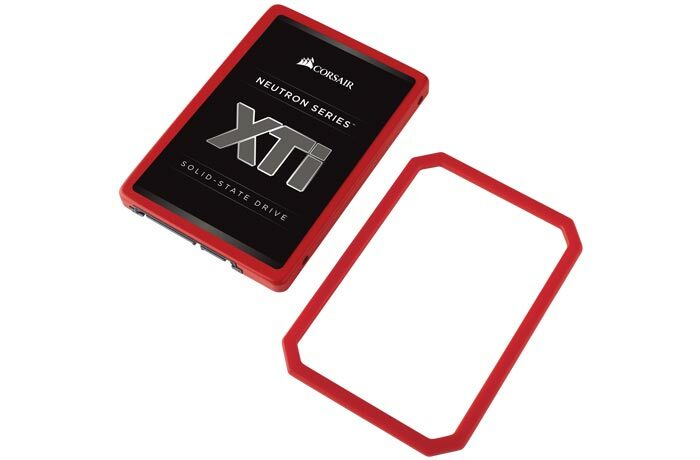 These are impressive results for a 2.5-inch SATA SSD but, looking back at the previous Neutron Series XT, there don't appear to be even minor improvements in performance from the new series. Without a product page and associated detailed spec the only difference I can find is that there will be a 1920GB capacity XTi in the range. The Corsair Neutron Series XTi SSDs, targeted at video editing pros and PC gamers, will be available in capacities of 240GB priced at $89.99, 480GB at $159.99, and 960GB at $329.99. The XTi range is therefore much more accessibly priced than XT predecessors of the same capacities: for example the Neutron Series XT 960GB is listed at $469.99, but the XTi 960GB carries an official MSRP of $329.99. We don't have pricing yet for the 1920GB drive yet. All Neutron Series XTi drives come with a 5 year warranty.